Happy Wednesday! Today at coldLogic we have a handful of new items just wonderful for mixing and matching the perfect casual business look or match them up with jeans and you’re all set for a day of Holiday shopping! 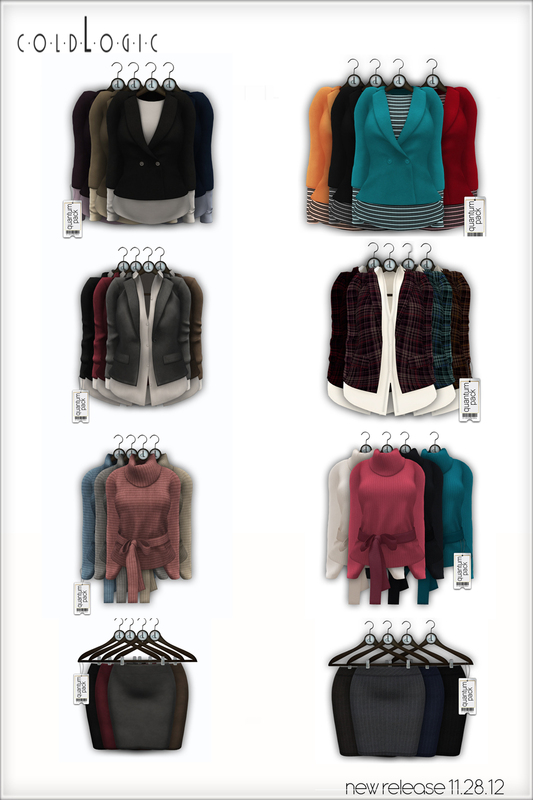 Pencil skirts, sweaters and some lovely jackets that you can dress up or down. You can find these items in the main store location and later online at the marketplace. Enjoy!